Customers are searching for the best products and services near them – and they want answers… fast. Will your business show up at the exact time when local customers are looking? Will they pick you out of all the local businesses that offer the same products and services? 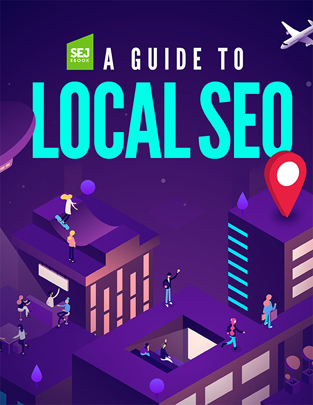 Search Engine Journal’s ebook, A Guide to Local SEO, tackles what you need to know about optimizing for local search. Local search engine optimization requires a strategic and targeted approach that is distinct from general SEO. Brick-and-mortar businesses wanting to win against competitors should make sure all the local signals across Google’s local search landscape are consistent and correct. We created this comprehensive guide to help local SEO professionals gain a better understanding of today’s local search landscape. The basics of local search engine optimization. Discover what local SEO is now, why it’s important, who benefits from it (and who do not). A brief history of local SEO. An evolution of Google local algorithm changes and what’s in store for the future. The key components of local SEO. Find out what are the top local search ranking signals and why local backlinks, localized content, consistent NAP, Google My Business, and reviews matter. The top local SEO tools around. Get to know essential local SEO tools and listings management tools that you can use. How to do local SEO for large organizations. What are the pros and cons of local SEO for large enterprises and essential practices to keep you going. Social media tips for local businesses. Why local businesses should invest in social media marketing and how to connect with customers on social. If you want to have a solid foundation on local search engine optimization, make sure to read SEJ’s A Guide to Local SEO.